Every time I pick up an Emily O’Beirne book I am spellbound on how she delivers amazing storylines, dazzling dialogue, and characters that you treasure long after the last page is turned. Emily O’Beirne is the very best at what she does for a variety of reasons. Each book captivates me. Her characters are so developed you feel as if you personally know them. Their dialogue sounds and feels real. To me, dialogue is the make it or break it for a book. You can either write it or you can’t. To make it flow and feel real the whole way through, that takes a mega amount of skill, and this is a skill O’Beirne has in spades. There are two authors that stand at the very top of this genre. Every single one of their books is fabulous. O’Beirne is one of the two. Am I biased? Yeah, I guess I am for the fact that I know when I open one of her books that I am going to be blown away by its awesomeness. I could read one of her books every single month and it still wouldn’t be enough. She writes the kind of books that you want to finish just so you can re-read it. Finish that baby and start right back at it again. 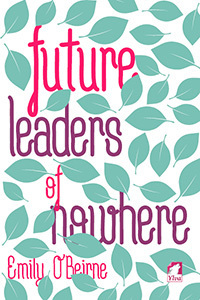 If you read Future Leaders of Nowhere and adored it as much as I did, this one is for you. Willa and Finn are back navigating the waters of demanding school work, home life, and their new relationship. What a great read, but even more so what amazing characters. 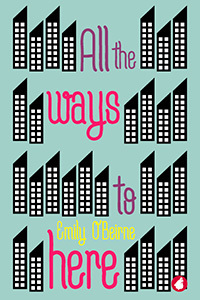 Once again Emily O’Beirne steals your heart with another beautiful read. Ah-freaking-mazing!!! This book is beyond good. There is not a review that will do it justice, I will try, but I promise you it will fall well short of conveying how awesome this book truly is. 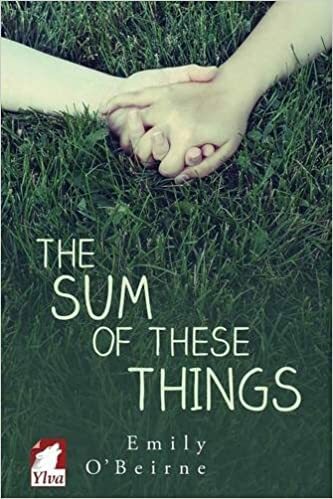 Emily O’Beirne is a masterful writer, every single one of her books blows me away for so many reasons, dialogue, characters, tension, everything is hands down done to perfection. This book may be her best yet. Finn is this amazingly grounded teenager. She is inherently good and people can see that from miles aways. You know that this young woman is meant for greatness because she is one of those rare people who have character, charisma and exudes compassion for others. It’s a no brainer that she is chosen by her classmates to lead their group for the leadership camp. The other main character is Willa. Willa is all business all the time. She is serious where Finn is lighthearted. Willa sees school as her chance to succeed in life and provides financially for her family. As a young child, Willa had to grow up too soon after the loss of her mother. Willa helps her elderly grandmother raise her two younger siblings, she works and attends an upper crust all-girls school on scholarship. She takes her responsibilities to heart and carries the load. She much older that her seventeen years. Her classmates view her as aloof in social settings but the ultimate competitor when it comes to academics. She’s the kid that studies when everyone else is having fun. She has too, success is the only option she sees for a bright future. Therefore her goal for leadership camp is to win, it is what is expected of her by her competitive classmates as well to herself. These two couldn’t be more opposite but they are drawn to each other right from the beginning. Two very strong females, each with different assets but also so very kind and sweet. To me, I think they were drawn to each other by their strengths and they impressed by what they saw in each other. These characters are complex, multi-faceted and O’Beirne delivers them to you so you become 100% invested in their future. Finn and Willa are described so well you feel as though you know them in real life. You want to know them in real life! The first half of the book is told from the perspective of Finn. We learn of her struggles leading her group that really doesn’t want to be there. They have drawn the wild card and have to play the role of refugees, no land, no resources, depending on others for survival in the game. Her friendship with Willa pushes her to be a better leader and to find her voice. I loved that the book then flipped to Willa’s point of view. It was fantastic to see the interworkings of her mind and just how smitten she was with Finn. For someone so serious to just have her heart stolen, those moments were amazingly sweet and tender. The little moments between them made a great book, phenomenal. Your heart is stolen right along with them. I love how Emily O’Beirne includes diverse characters, bisexuality, and world issues all into a romance novel. It’s not preachy, or overdone, but she makes the reader stop and think all within the context of an amazing love story. This writer has serious skill! I loved that each of our mains had strength and frailty. They made each other better, they made others be better. Willa and Finn were awesome characters. I hated to see this book come to its end, and let me tell you when I found out there will be a sequel, there could have been some fist-pumping happy dance moves. Consistency must be Emily O’Beirne’s middle name. She consistently writes amazing characters that steal your heart and dazzle your imagination. 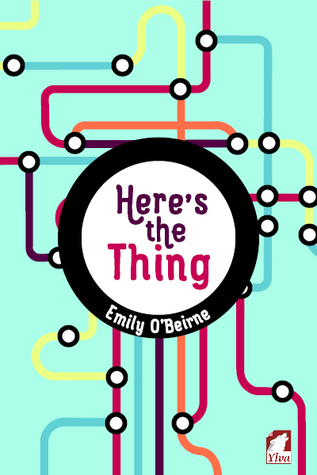 Her latest novel, Here’s the Thing, is a wonderfully sweet story and honest reflection from the main character, Zel. Zel, is sixteen and is probably smarter and more aware than most thirty-year-olds. This character is open, honest and level headed. You don’t often hear that with teenagers, levelheaded, but Zel just is. She gets people for who they are, she sees past the veneers, bad attitudes, and silence. Which is how she meets Prim, and an unlikely friendship develops on the subway system on NYC. Zel has been in New York for a few months, not really developing any strong relationships or exploring her new city. Until she meets and connects with a young model, in her mother’s modeling agency. Primulka is an enigma of a girl. One who rarely smiles and spends most of her time acting nonchalant and blank. She inwardly hates everyone, thinking most of her peers are silly and mundane. To say this girl is challenging is an understatement! You know as the reader someone has hurt this young woman terribly, making her build a fortress around herself to self-preservation. Zel figures this out too and proceeds with caution slowly pulling Prim into a friendship. These two take off on an epic weekly adventure with the end goal of riding all of the subway lines. Sounds awesome right, I can only imagine the people you would meet. It is epic to them as well, and while Zel harbors a crush on Prim, she knows that this friendship is something. Then the monkey-wrench thwarts the plans of finishing the lines, Zel is moving back to Australia. Her time in NYC is up. This is a story that shifts back and forth between real-time, Zel in Sydney and memories of her time with Prim in Australia. The story builds upon the friendships that Zel makes. Her friendship with Prim is on a pause because of a misunderstanding and hurt feelings, and this causes Zel much anguish. One the other side she is plowing ahead with her life is Sydney and befriends a group of enigmatic young people in her drama class. Through her new school and this group of friends, Zel really begins to branch out. Her photography passion is ignited again and she becomes part of something more. She also meets a Stella and that is a really great part of this book, as sweet and tender as only that first love can be. I don’t think I did a very good job of summing this book up for you. So I’ll say this, read it. This one is fantastically written by one of the very best authors in the genre. The characters have depth and the story is captivating. Overall a great story, that I was sad to see it end. Another winner from Emily O’Beirne. A breath of fresh air, that’s what this book was to me. 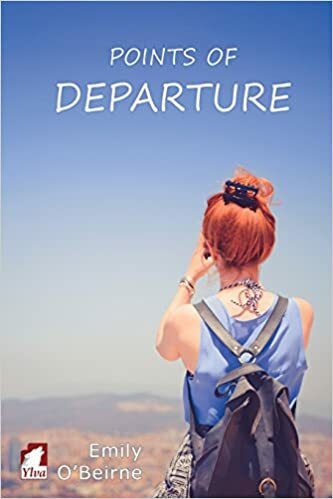 Points of Departure by Emily O’Beirne captures the spirit of friendship and adventure in the most charming manner possible. This is the story of five young women who are bonded by an epic adventure to see the world post-high school graduation. The book starts off as the five ladies get ready to take this grand adventure to Europe and Thailand. The bad news is that Kit, the organizer and touchstone of the group is going to have to bail. Kit’s partying ways have cost her. She must spend her trip money on the neighbor’s statue that was destroyed after wild, but not epic party. This is where apprehension sets in with the four reaming girls, Tam, Liza, Olivia and Mai. Tam, Kit’s cousin, is a cherry farmer’s daughter from Tasmania. She has spent her life in a small secluded town. Set to attend culinary school, Tami s using this vacation to study the world’s cuisine. The last year has been especially rough for Tam and her family. Her father was diagnosed with cancer and has only recently begun feeling like his old self again. Tam is impatiently waiting for the other shoe to drop. Oliva, Kit’s best friend, is the daughter of one of Australia’s most favorite authors. Olivia has spent her life in her workaholic mother’s shadow. She has had her sight on being a successful lawyer forever the only problem is she is pretty sure she’s destroyed that chance after flubbing her final exams. Liza, Kit’s other BFF, is a runner. Not just any old runner either, she is amazingly fast and amazingly talented on the track. She has spent most of her childhood and teen years traveling the country racing the 800M dash. Recently Liza has come to the conclusion that she may be done with racing, she doesn’t have the competitive streak or desire to run to win as a college athlete. Mai, well she’s just Mai. Super intelligent, obsessed with social media and just wants a big party and lots of hookups before college begins. A classmate who is in the same social circle as Oliva and Kit and the one character that we do not read the perspective of. Points of Departure is brimming with liveliness and strength. The book effortlessly hops between the friends as they deal with life, failures, success and love. There is a romance too. It’s quite good and quite touching but I’ll let you figure out who that cute couple might be. Do you know that feeling where you totally excited but kind of terrified at the same time. Kind of like the start of a marathon you’ve been training months for, you know it’s going to be fine, but you really want that great finish. That is how I felt a few days ago when I started Emily O’Beirne’s newest book The Sum of These Things (A Story of Now #2). 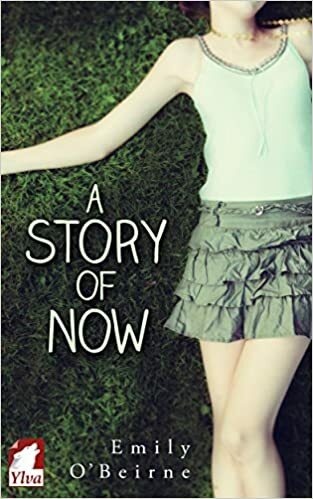 I absolutely adored her first book, A Story of Now. It unexpectedly stole my heart, and became one of my absolute favorite books. So, you can see how a sequel to one of your favorites is going to be either a renewal of you love or an utter disappointment. Well, I can honestly say Emily O’Beirne did a number on my heart again, everything, and I mean everything about this book was spectacular. Mia and Claire are two amazing characters. They are so different from each other, and yet their relationship so spectacularly works. Each of them has her own character flaws, and it is the others strength. In the last book (pause if you have not read the last one, go get it now, read this later! ), we saw how Mia wavered with her sexuality, second guessing Claire’s interest in her and finally making that giant leap of faith and getting the girl. Claire was the strong one, while never being in a relationship with another girl, she didn’t make a big fuss about it, and it wasn’t a huge deal to her. She liked Mia romantically and that was enough. In this latest book, Mia is the quiet strength of the duo. The conflict is understandable and relatable, and the dialogue is what makes this book flat out amazing. In my opinion, Emily O’Beirne does dialogue and character development with the best of the best. The interactions between the characters are the highlights of the book. The dialogue is how real people talk, whether they’re flirting, romancing or fighting, it is just good! Tying it back to my marathon analogy, Ms. O’Beirne would have totally qualified for Boston with this book. Happy reading! Our protagonist is Claire a 21 year old Australian college student. Claire lives at home with her disapproving mother and workaholic father. Claire’s parents push her to become a lawyer following in the family footsteps. She of course has zero desire to do want her parents want her to do. Claire is super cool and refreshingly self-aware. She’s judgy, brash, unapologetic, kind and confident in who she is. Claire knows she is operating well below her potential, and she aware she is meant to do something greater, she just can’t get motivated to choose another path. Enter Mia, our other main character. Mia is everything Claire is not. She is studious, super focused, she is soft spoken, shy, geeky, and like Claire very lovable. The two girls have an instant friend connection. Their friendship is witty and fun. As story evolves and our characters are fleshed out and we begin to see a shift in dynamics. Claire and Mia begin to figure themselves out on different levels. Mia struggling with her sexuality, and Claire easily sliding into hers, upon her self discovery of her romantic feelings toward Mia. A drunken kiss, changes everything! This is a fantastic read. Great character development! The journey is a good one. As the reader you never you feel like their is a rush to get somewhere with these characters. There is depth in the storytelling and it’s wonderful. Emily O’Beirne knocked it out of the park. Buy the book, and wait impatiently with me counting down the days to the next one.